Pantothenic acid benefits your health in a variety of ways, demonstrating the importance of this B vitamin. Pantothenic acid or vitamin B5 is one of eight B vitamins used by the body for a variety of vital functions. Pantothenic acid is a component of coenzyme A. Coenzymes act with enzymes to bring about and speed up chemical reactions in the body. Chemical reactions are the essence of life. Virtually every body process begins with a chemical reaction of some sort. In this case, pantothenic acid plays a role in converting carbohydrates and fats into energy. It is found in every cell of the body. This nutrient also aids in the synthesis of cholesterol and steroid hormones in the body. You may be conditioned to think cholesterol is bad. Yet, cholesterol forms the basis of every cell membrane in the human body, making pantothenic acid essential for life itself. The pantothenic acid benefits don't end there. As support for steroid hormone synthesis, pantothenic acid helps the formation of several classes of hormones including estrogen, androgen, and progestin. It also aids in the production of hormones which direct metabolism and maintain salt and water balance in the body. Because pantothenic acid supports adrenal gland hormones, it may help relieve stress and aid the body's response in tense situations. A deficiency, therefore, may impair the body's ability to respond to stress. A 1985 study published in the journal Cardiology (Suppl 1:187-9) found deficiencies of pantothenic acid may be linked to hypertension or high blood pressure. In addition, use of this vitamin has been approved by the American Society of Health-System Pharmacists for support of adrenal gland function to treat chronic stress. When you take pantothenic acid, your body converts it to another chemical called pantethine. Some research indicates pantethine may help lower blood cholesterol levels, making it a possible complementary treatment. A 2006 study in the journal Progress in Cardiovascular Nursing (21(2):89-93) found supplementation with pantethine lowered total blood cholesterol. Another of the pantothenic acid benefits concerns treatment of aging skin. Its role stems from its support of steroid hormone synthesis. As you age, your skin will become rougher and more fragile. Pantothenic acid may potentially help alleviate some of these effects. A 2010 study in the Indian Journal of Dermatology, Venereology and Leprology (76(1):20-26) found use of a facial lotion containing pantothenic acid helped improve skin tone and texture in participants with signs of aging skin. This vitamin may also help wound healing. A 2007 study in the journal Pediatric Surgery International (23(2):177-181) found pantothenic acid accelerated wound healing by stimulating immune response in the body. According to the National Institutes of Health, the daily adequate intake of pantothenic acid is 5 milligrams per day for adults 19 years of age or older. Fortunately, deficiencies in pantothenic acid are extremely rare because it is found in so many different foods. You will often find it included in vitamin B complex supplements and multi-vitamins. Pantothenic acid is safe when taken within the recommended dosage. There is a lack of evidence indicating drug interactions. However, if you take more than 10 mg daily, you may experience gastrointestinal distress. 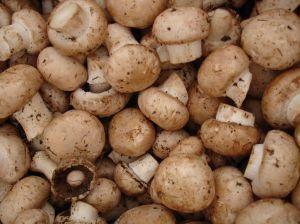 At high doses, it may also interfere with biotin absorption. Of course, as with any supplement, allergic reactions are possible. Because of its role in so many vital body functions, you should consult your doctor before taking pantothenic acid supplements. Pantothenic acid is one of 13 essential vitamins required for proper functioning of your body. When you receive adequate amounts of this vitamin, you can avoid the symptoms of fatigue and weakness associated with deficiency.